Deals in retail property in Australia during the 2018 financial year hit a record $9.87 billion, reports the AFR. The record figure, an increase of 49 per cent on the previous year, highlights that both private and institutional investors see value in the sector. The record result also represents a 38 per cent increase on the five-year annual average of $7.1 billion, states a Colliers International report. “The major difference between this year and previous years was the strong supply in the tightly held regional centre category, which represented the largest value of transactions, at $3.54 billion,” said Lachlan MacGillivray, Colliers head of retail investment. Regional centres represented the largest quantum of transactions, at $3.54 billion. In total, seven regional centres were transacted, all of which were part sales. This was the highest number of transactions since FY 2013, when 14 regional centres traded and featured the split of AMP and Westfield co-owned centres. The hefty transaction flow came despite ongoing concerns at the broader impacts of increasing e-commerce on bricks and mortar retail real estate. Over the period, AMP Capital struck the country’s biggest ever single-asset retail property deal, with two of its funds taking a combined 50 per cent stake in Brisbane’s Indooroopilly Shopping Centre for $800 million. The NSW market dominated sales activity, accounting for just over one-third or $3.56 billion in sales in the 2018 financial year, a 48 per cent increase on the previous year. Victoria also saw an increase in transaction value over this financial year with increased sales volumes by 72 per cent, hitting $2.71 billion in deals. Some 86 per cent of all retail transactions over the period were to domestic or undisclosed purchasers, on Colliers figures. “While the markets in Victoria and Queensland were dominated by institutional investors, NSW saw more private investors than any other buyer types,” said national research director Anneke Thompson. 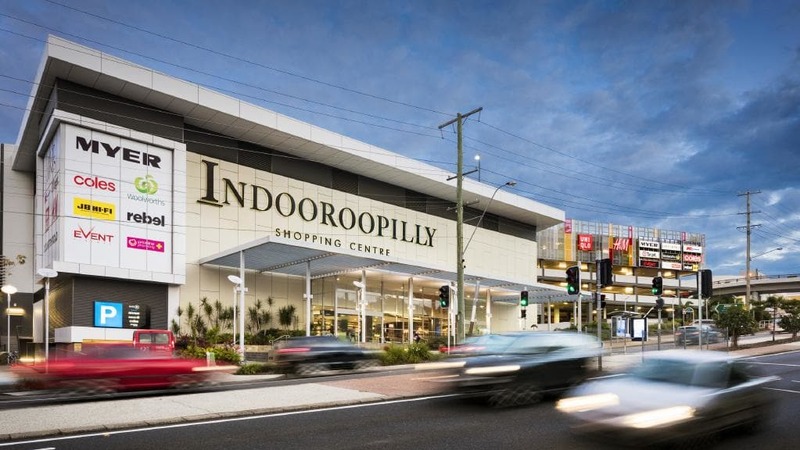 The largest single transaction during FY 2018 was a 50 per cent interest in Indooroopilly Shopping Centre, Queensland, which was acquired jointly from Commonwealth Superannuation Corporation (CSC) by AMP Capital Shopping Centre Fund (ASCF) and the approximately AMP Capital Diversified Property Fund (ADPF) for over $800 million at a core cap rate of 4.25 per cent. Overall transaction value in Australia’s CBD showed a slight decrease from FY 2017 levels, following constrained supply as opportunities to invest in Australian CBD’s became more limited. Australia has the lowest proportion of retail space among the major retail markets, with only 28.9 square meters of retail space per square kilometre of habitable land. In the US, it is 177.5 square meters, with ratio of 50.4 square meters in Canada and 165 square meters in Britain. “Due to rigid planning regimes, strong supermarket compositions, and high levels of catchment engagement, Australian centres have been able to maintain strong levels of repeat visitation, when compared to other markets such as the USA, UK and Canada,” Mr MacGillivray said.